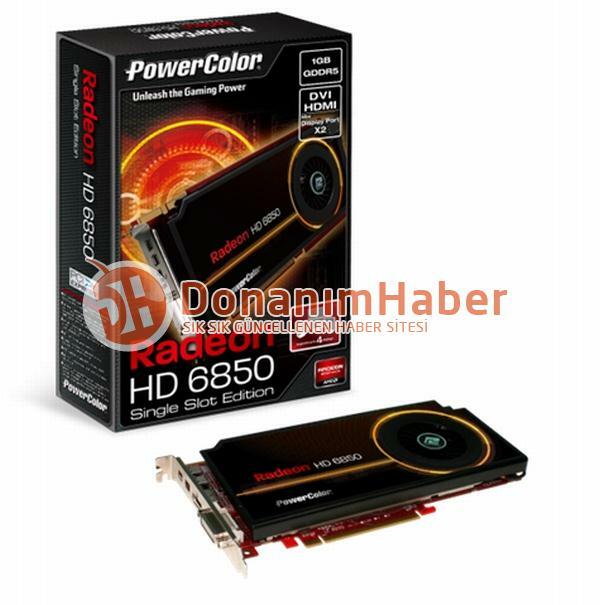 PowerColor is readying a new single-slot AMD Radeon HD 6850 graphics card. 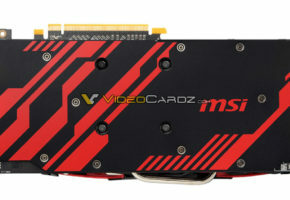 The advantages of single-slot aside, the new card will also support 4-way CrossFireX. So now you can pack four of these cards into pooly-designed motherboards with adjacent PCI-E x16 slots, or you can sneak one into the slot that happens to be the bottom-most one. 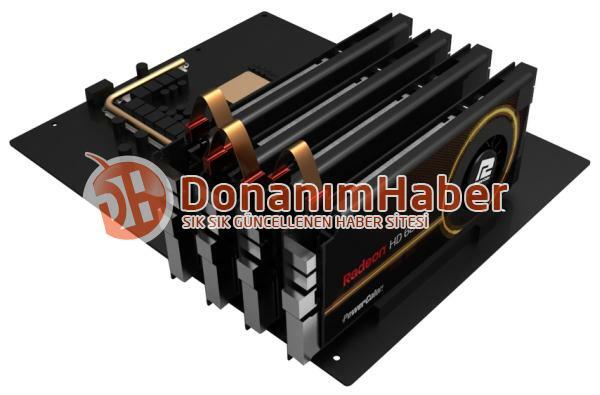 PowerColor’s HD 6850 Single-Slot Edition uses a custom PCB design which is not much longer than the reference design, it uses a typical single-slot cooler design with tightly-packed aluminum fin air channels to which heat is fed by a copper plate. Air is flown through these channels by a blower. 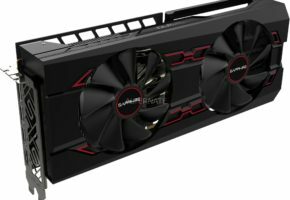 Apart from 4-way CrossFireX capability, the PowerColor HD 6850 Single-Slot Edition uses nearly complete display connectivity, with one DVI, a full-size HDMI 1.4a, and two DisplayPort 1.2. Power is drawn in from a single 6-pin power connector. 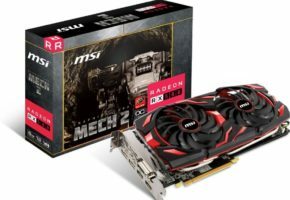 The card uses AMD reference clock speeds of 775 MHz core and 1000 MHz (4.00 GHz effective) memory. There’s 1 GB of GDDR5 memory over a 256-bit wide memory interface onboard. 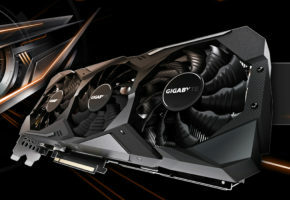 Based on the 40 nm Barts GPU, HD 6850 features 960 stream processors, and full DirectX 11 compliance. More details and pictures are awaited of this intriguing new card. 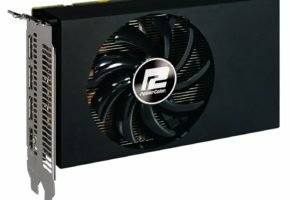 TUL Corporation, a leading manufacturer of AMD graphics cards, today announces the first-to-market video card: the PowerColor HD 6850 single slot edition. The first available HD6850 single slot edition aims to fulfill the desire of performance and multi-function seekers when space is a premium. 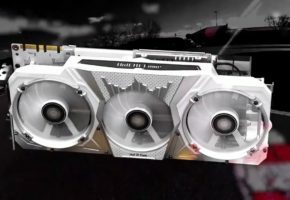 The PowerColor HD 6850 single slot edition clocks in at 775MHz core speed and 1000MHz memory speed; accelerating gaming speed with 1.48 teraFLOPs of computing Power. The slim HD6850 can maximize the rig’s performance in a single slot design, allowing a 4 way CrossFireX layout that delivers an out-of-box HD gaming experience like no other. The PowerColor HD6850 single slot edition also takes advantage of PowerColor’s Platinum Power Kit, utilizing 100% SMT type components: Volterra, Poscap and Proadlizer, enhancing the stability and efficiency for top-tier gaming performance. Furthermore, the latest edition uses the exquisite thermal design, mounting 3 units of 8mm heat pipes with a full cover cooling plate, dissipating heat from its large pure copper base. These features enable a cool entertainment experience when space is at a premium.